You can't put a price on the satisfaction of knowing your home is fresh, clean, and healthy. A+ Chem-Dry in Merced makes it possible for you to keep the floors and upholstery in your home up to standard. 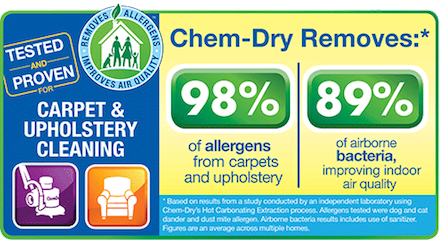 A+ Chem-Dry of Merced California is bringing you a drier, cleaner, healthier home! We offer professional carpet cleaning, upholstery cleaning, pet odor removal and more. Using Hot Carbonation Extraction techniques, we are able to use less water while still getting a deep clean. A carpet cleaning with A+ Chem-Dry is exactly what your home needs. Choosing A+ Chem-Dry means you are choosing carpet cleaning services that brings high quality results directly to your home. We bring you a superior clean by using our proprietary hot carbonating extraction cleaning process that combines innovative cleaning solutions and industry-leading equipment. Our technicians will deliver a cleaning that’s not only safe for your carpets, rugs and upholstery, but gives you the peace of mind of knowing you have a clean, refreshed home that is healthier for you and your family. A+ Chem-Dry invites you to learn more about the benefits of the carbonating cleaning process and green-certified solutions that are safe for your kids and pets. Call (209) 384-8668 today for a free quote and see what we can do for your home! Get Your Free Quote Today From Our Professional Technicians! Does A+ Chem-Dry do tile and stone care? Yes we do! We don't just treat Merced carpets, other flooring needs attention too. After a Tile And Grout cleaning, our professional technicians apply a special durable sealant to your grout. This keeps out dirt and grime longer so your cleaning lasts longer in Merced California. P.U.R.T. stands for Pet Urine Removal Treatment. Because A+ Chem-Dry loves pets as much as you do, we developed a system to safely eliminate pet odors for good. Our urine cleaner is a green certified product and is safe for all furry friends. We use revolutionary ultraviolet light technology to locate stains lurking beneath the surface then apply our green cleaning solution to the stain. After the process is complete, your Merced home will be free of pet odors and unsightly urine stains. Are There Any Chem-Dry Coupons Or Current Specials? We update our coupons and specials to bring you an effective clean that is also affordable. Check out our savings page to see what current specials we have. What Services Does A+ Chem-Dry Offer? 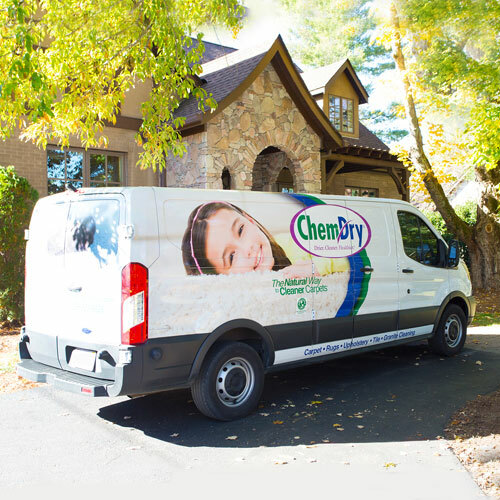 Where does A+ Chem-Dry service? The Best Carpet Cleaning Services In Merced.